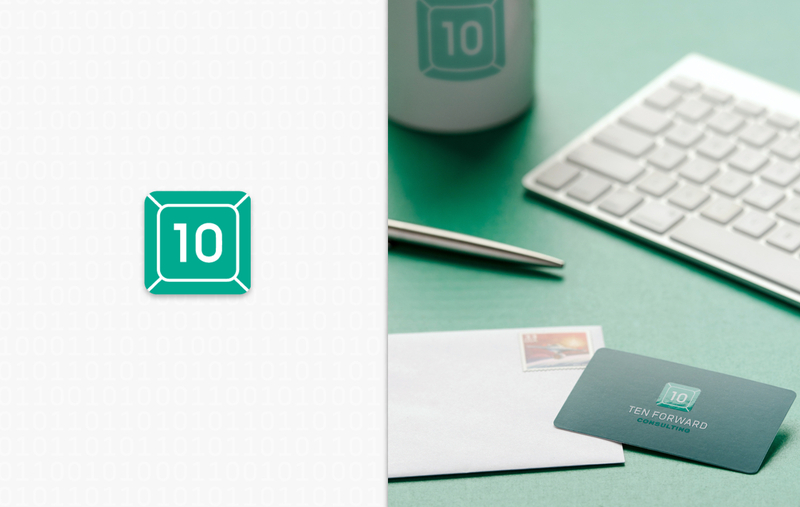 Ten Forward Consulting writes scalable custom software for medium and large enterprises. Ten Forward is named after the lounge on Star Trek’s USS Enterprise, where the crew would come for sage advice and a drink. The advice was always simple, deep and candid—a vibe that rings true for Ten Forward's personable demeanor and acumen. Approachability can be a rare asset in the world of tech, so we emphasized this with a simple, familiar keyboard key. 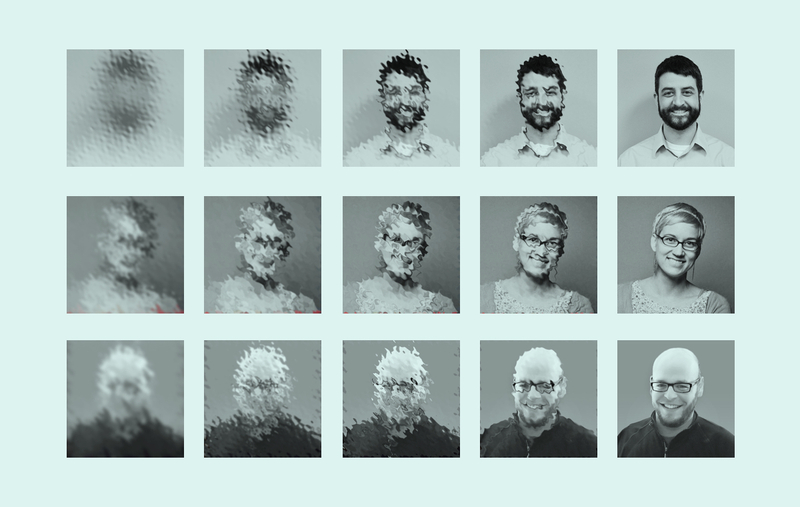 Staying in line with the Star Trek theme, we created a teleportation animation effect on the portraits of their team members for their website's About page. 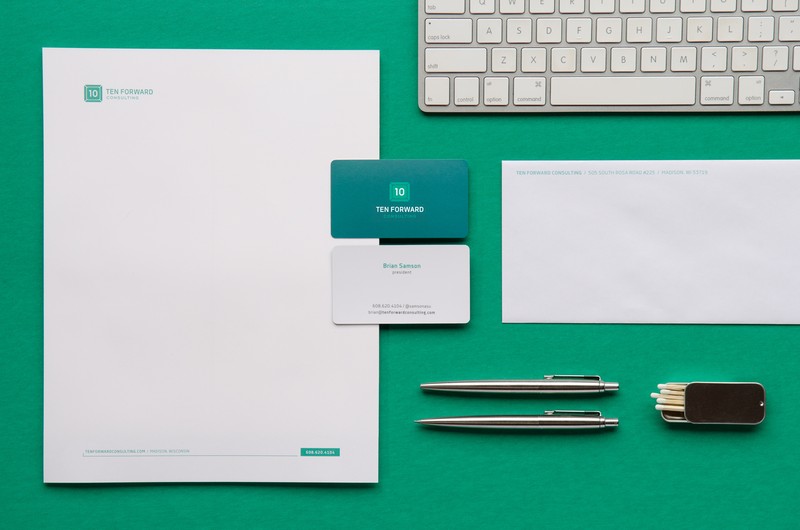 We developed a series of geometric icons to represent each of their areas of expertise. These provided a way to differentiate their offerings and gave an intangible service physicality to feel more like a tangible product for sale.